Late last fall, I got the opportunity to visit Fyxation Bicycle Company and build my very own Eastside bike. Fyxation is a Milwaukee, WI-based bike company founded by brothers Nick and Ben Ginster back in 2009. The company started with the idea to make a durable urban bike tire. Nick was living in Taiwan at the time as a chief engineer for a big US based bike component company. He took the idea to paper, then to CAD, and before long steel was being cut on the first Session tire mold. Fast forward to today, their brand has grown from a concept tire to a full line of bikes and leather accessories with a beautiful retail/showroom in Milwaukee's Riverwest neighborhood. Offerings from their Tannery Collection. All built right here in Milwaukee, WI with leather from a local tannery. I got the opportunity to design my own Fyxation bike. They have several styles of frame to choose from and I went with their popular Eastside model in matte black. My very own 2017 Eastside! Even though there's still snow on the ground, it's not too early to get geared up for spring time rides in Milwaukee. 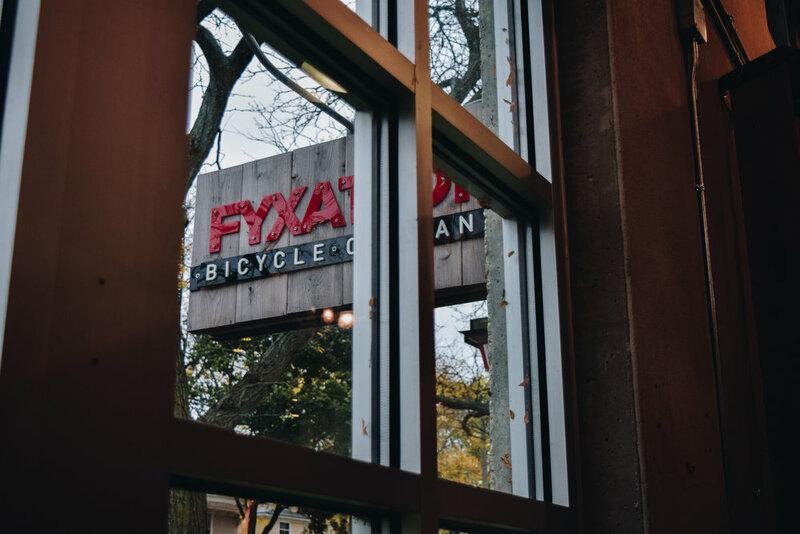 Fyxation's goals are to grow their retail presence here in Milwaukee and continue the expansion of the rest of their business through a number of new bike models and parts. From the beginning they've been selling their products all over the world, but over the last few years, they decided to really focus on building up their brand here in Milwaukee.